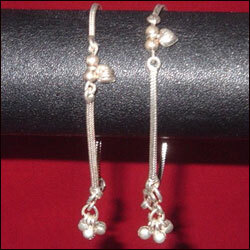 Pair of 45gms ( app ) silver Anklets with 2 little silver hearts dangling from each anklets. Each ankletis 9 inches long. A Pair of silver adults anklets. 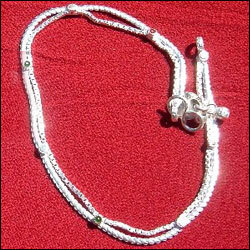 Each anklet is made of two silver chains, attached at regular intervals by little silver and colored mina-work spheres. 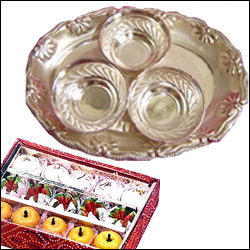 Length of each payal is around 10.5 inches, weight is 40 gms ( Approx ).